Our sympathies to the family of Bill Parker, of Parker Protective Services. He was a long time business member of the Society who passed back in April. This month we recorded 29 members at our August Meeting. The History Center recorded 54 visitors! The gift shop took in $22.97 The History Center was used by Got-‘em-on Live and the UDC. New Members. Welcome to Sharon and Gary Walters of Carolina Beach and Le Ann and Kyle Pierce of Carolina Beach. Thanks to Pat Bolander, Ron Griffin, Lois Taylor, Carol Ufferman, Demetria Sapienza and Darlene Bright for keeping the History Center open while Rebecca was on vacation! Thanks to our History Center Volunteer Carl Filipiak for working on the cataloging of the subject files. He’s finished the first drawer and keeps going strong. Newsletter: Thanks to Cheri McNeill for her always thorough proofing of the newsletter and Lois Taylor for her help getting the Newsletter in the mail. Thanks to our new History Center volunteer Andre’ Blouin who is beginning to work on a new and improved web site and getting the gift shop books for sale on our web site. 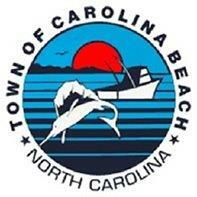 At Tuesday night’s, October 8, 2013, Carolina Beach Town Council meeting, Council voted to rescind the Conditional Use Permit to put their waste transfer station on land off Lake Park Blvd., which has a portion of the Civil War Sugar Loaf line of Trenches. Councilwoman, Jody Smith, amended the motion to include that Town staff work with the Society and others to use the property as Ryder Lewis wished when he donated the property to the Town. In conversation with Jerry Haire, Project Manager for the Town, he suggested that our group and other interested parties come up with a plan to perserve this portion of the historical site. Ray Bramhall, Elaine and Skip Henson all spent time at the table giving out our brochures and answering questions. Thanks also to Don and Sylvia Snook who helped Elaine and Skip tear down and put away all our paraphenalia. It was a great day and another chance to raise our community profile. 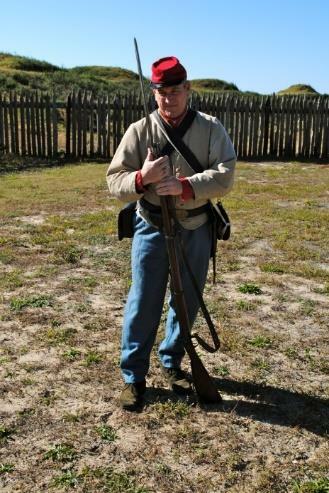 At our September meeting John Moseley, assistant site manager at Fort Fisher, talked about scurvey and the importance of vitamin C in controlling that disease. Many soldiers and sailors of the 16th to 18th centuries were afflicted and many strange theories were suggested as the cause and ways to prevent it. Sir Gilbert Blane (1749- 1834) was the British naval doctor who first recommend lime or lemon juice, thus the term “limeys” for British sailors. Soldiers posted at Forts Fisher and Anderson were very poorly fed so the men started vegetable gardens to supplement their diets. 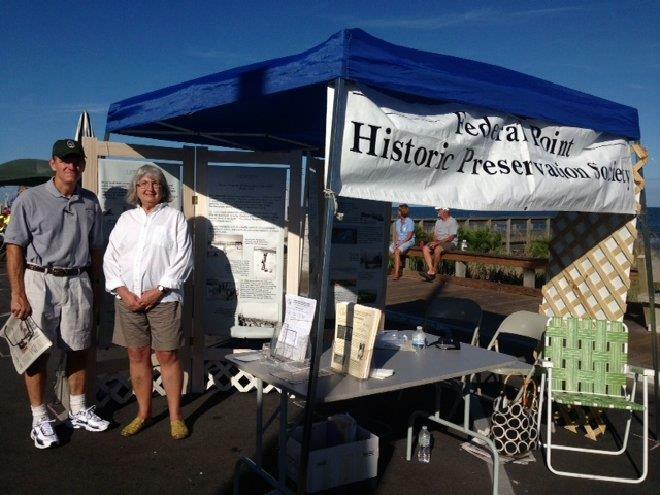 The Federal Point Historic Preservation Society will hold its monthly meeting on Monday, October 21, 7:30 pm at the Federal Point History Center, 1121- A North Lake Park Blvd., adjacent to Carolina Beach Town Hall. 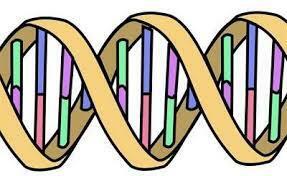 This month Ron Griffin will be doing a presentation on DNA Testing for Genealogy. His talk will be a follow up to another presentation he made 6 years ago. 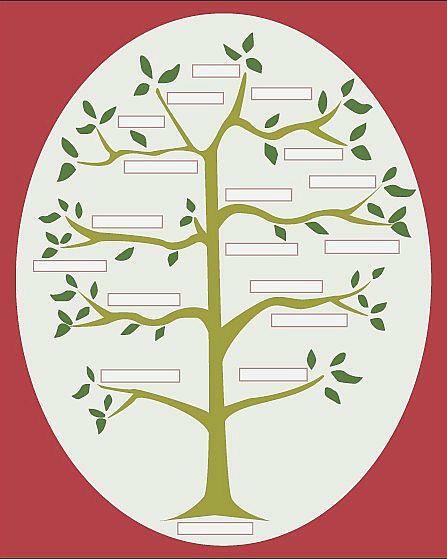 There will be a brief review of genealogy in general and also a discussion of the 1940 Federal Census before getting into the main subject. 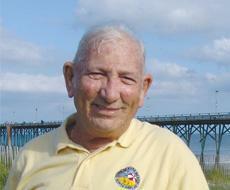 Ron served 4 years in the Air Force during the Korean War period. After earning his engineering degrees from Rutgers and MIT, he spent the next 34 years working in the aerospace engineering industry at locations in Southern California and Silver Spring, MD before retiring in 1994 and relocating to Kure Beach in 1995. Ron has been a member of the Society for over 15 years. He has served as Director, President and member of the Cemetery Committee. He also volunteers at the History Center from time to time. Ron has been researching his own family history for over 25 years. He occasionally helps others with their research and has, in the past assisted two of our members with their applications for membership in the UDC.